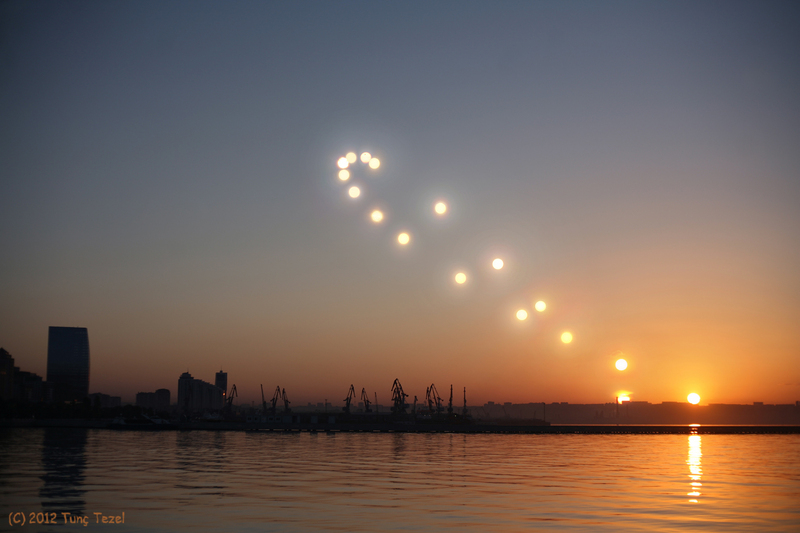 Explanation: An analemma is that figure-8 curve that you get when you mark the position of the Sun at the same time each day throughout planet Earth's year. In this case, a composite of 17 individual images taken at 0231 UT on dates between April 2 and September 16 follows half the analemma curve. The scene looks east toward the rising sun and the Caspian sea from the boardwalk in the port city of Baku, Azerbaijan. With the sun nearest the horizon, those dates almost span the period between the 2012 equinoxes on March 20 and September 22. 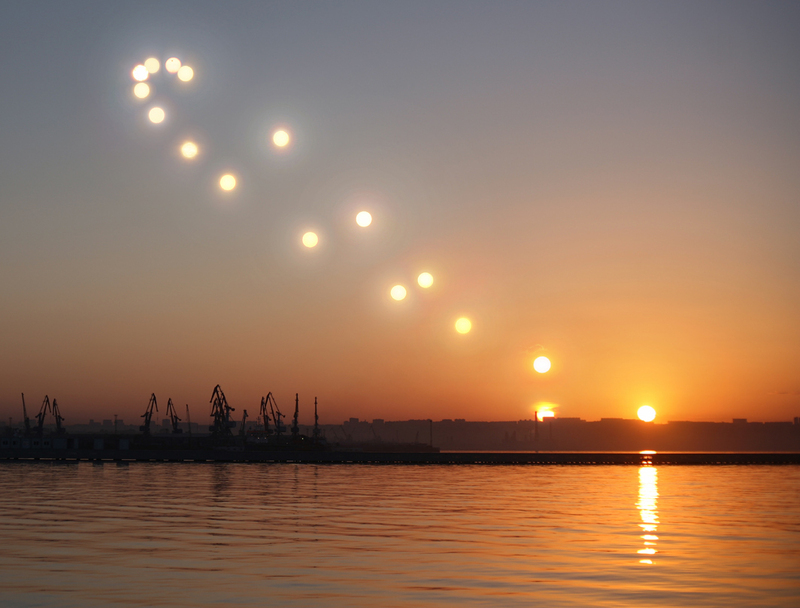 The northern summer Solstice on June 20 corresponds to the top of the figure 8 at the left, when the Sun stood at its northernmost declination. Of course, this year the exposure made on June 6 contained a little something extra. Slightly enhanced, the little black spot on the bright solar disk near the top of the frame is planet Venus, caught in a rare transit during this well-planned sunrise analemma project.